Greetings, everyone. Day seventeen of this wonderful journey of the Biggest Winner. This past week has been full of fun and travel. I have spent some fun time in Nashville at a concert and up in Kentucky visiting a friend from college. I know what you are thinking, “Kelsey went to Nashville and pigged out with all the locals then stayed up all night with her college friends eating junk”. Wrong. Kelsey actually packed her own meals for these trips and was able to stay right on track with her meal plan. Even in Nashville, we ate at Subway since they offer healthy options that are completely filling. Planning ahead was way more simple than I thought and it paid off because I made good food choices. Also, if you have not done so already, go register for the Covenant Health Knoxville Marathon. Don’t be alarmed by the name because they have a half marathon option, a 5k, and even a kid’s run for your youngins. Visit http://www.knoxvillemarathon.com/ to sign up and I will see you at the fifty. 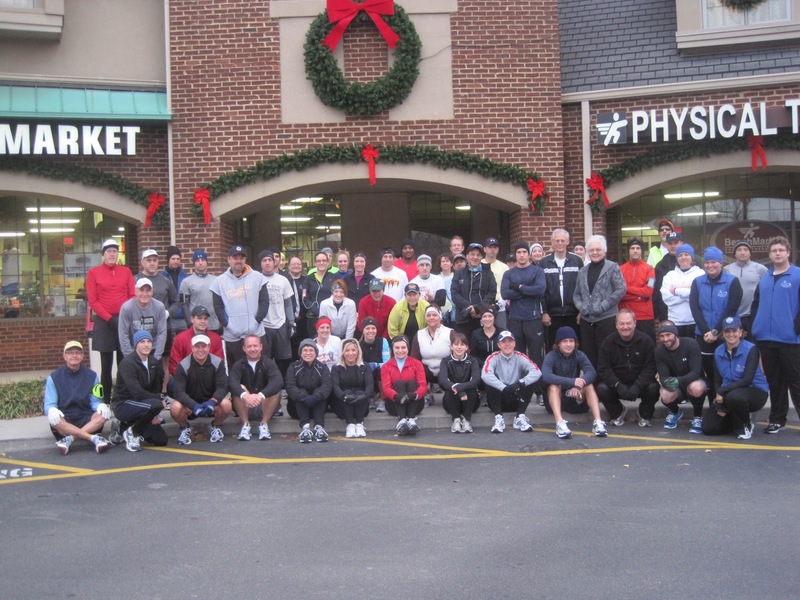 And if you are feeling like an overachiever and want to come participate in the Knoxville Track Club training runs, then join us on Saturday mornings around 8am. Don’t fret, they have groups for any pace. Visit http://www.ktc.org/ to check out the running schedule. Here is a nice little picture of our last group run. We were freezing in the picture, but shedding our layers within five minutes.